There is no common name for the Gompholobium preissii, although I did find one reference that also called it hirsutum. 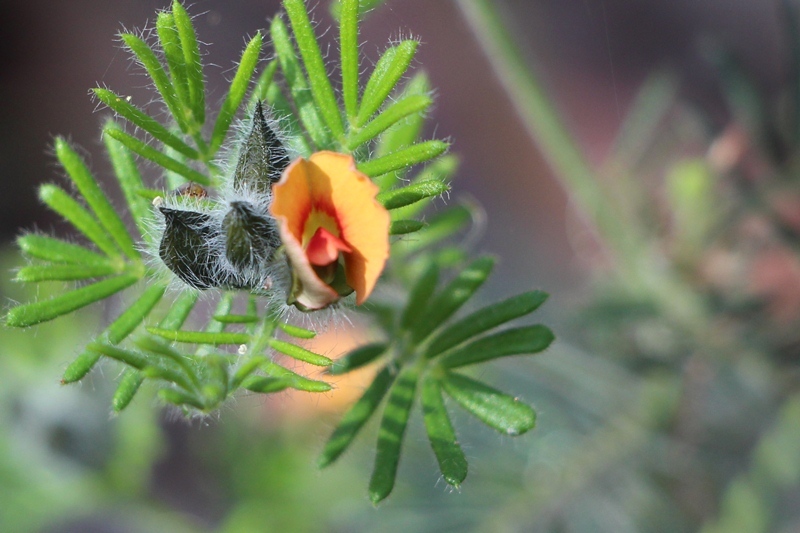 Following on from the naming system that gave us the Handsome Wedge Pea, I will call it the Hairy Orange Wedge Pea. The name Gompholobium comes from the Greek Gompho for wedge shaped club and lobium for lobe.